On Sunday, October 29, the GO Foundation partnered with the Shangri-La Hotel for the 2017 Climb N Dine event. 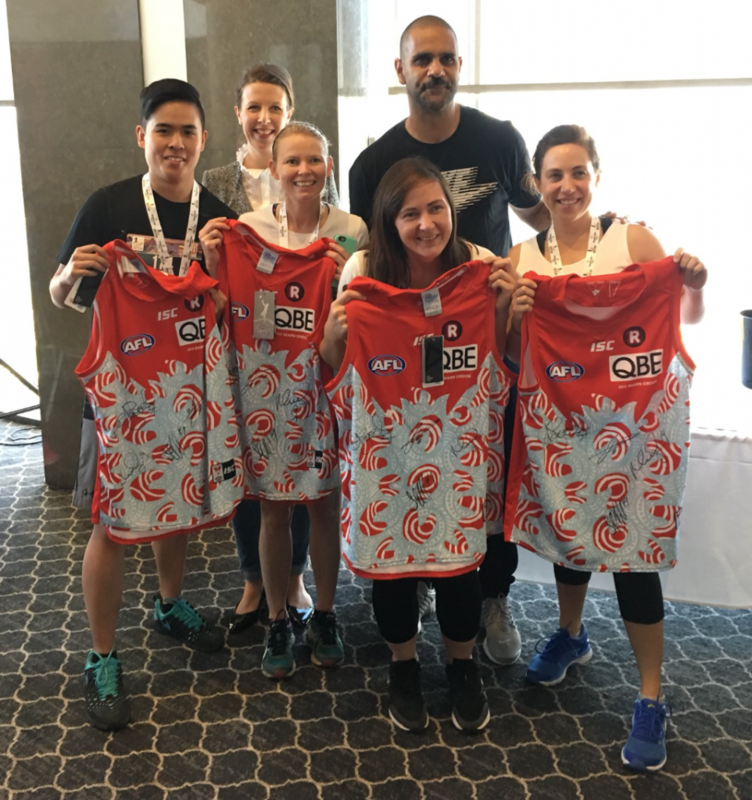 200 climbers braved an early start to take on the 37 flights and 630 steps before enjoying a spectacular view of Sydney Harbour from Altitude Restaurant. GO’s own Michael O’Loughlin was on-hand to present the medals to all climbers and to join them for a gourmet breakfast. As the charity partner of the event, all climbers raised funds in support of the GO Foundations public school scholarships. A big thank you to all our fundraisers, and to the team from GHD who volunteered their time to make sure all climbers made it safely to the top. Thank you to the team from the Shangri-La and Steve from Activ8 Change for all their hard work putting together this fantastic event.